Welcome to Student Legal Services! Marijuana will be legal effective December 6, 2018! Learn more information here! Since 1979, Student Legal Services (“SLS”) has been assisting students. SLS is a division of Student Life, and is a full-service law office consisting of five (5) full-time attorneys, one paralegal, and a legal secretary/office manager.  Our service is only available to currently enrolled students, at the University of Michigan's Ann Arbor campus. Overall, our staff has a wide range of experience and knowledge of the law. Further, our attorneys specifically are all highly effective in their roles because they are familiar with the Ann Arbor court system to include the judges, county prosecutors, city attorneys, and other practicing attorneys. The attorneys at SLS can advise you regarding your legal rights and represent you, if needed, in Washtenaw County courts only. It is also possible for the staff to negotiate with various individuals on your behalf (i.e. debt collectors). The attorneys also make various presentations throughout the school year, and they are also available to speak to student groups, if requested. Your discussions with our attorneys and other staff are protected by attorney/client privilege. We will not discuss your case with your parents, friends, spouses, or the University of Michigan without your written consent. What legal areas do SLS handle? The above list is not all inclusive of the areas for which we provide services. If you do not see the area of your legal situation, please call our office to see if we can assist you. How much does SLS cost? SLS is funded through a nominal fee, which each student pays every semester. There are no additional fees charged for the attorney's services. However, the student is responsible for any costs associated with the case to include court filing fees, court fines, and service of process fees. Any fees will be explained to you by the attorney assigned to your case. If for any reason you are in need of legal advice and/or service, please call 734-763-9920 to schedule an appointment. It is especially important that you contact us as soon as possible regarding any upcoming court appearances or if you are served with a summons and complaint. No legal advice will be provided over the phone. New clients must call to schedule an appointment. No legal advice will be given over the telephone or via e-mail. To participate in our Outreach Survey, please go here. This website is provided as a resource for general information only and should NOT be used as a substitute for specific legal advice. The information contained in this website does not constitute legal advice nor is it intended to constitute legal advice. Once a specific legal issue arises, students should contact SLS immediately in order to schedule an appointment or to receive a referral.